1. Come Out, Come On, Show Up, Surface, Turn Up : ظاہر ہونا - منظر عام پر آنا : (verb) appear or become visible; make a showing. 2. Come Out, Appear : شائع ہونا : (verb) be issued or published. The new Woody Allen film hasn't come out yet. Happen, Materialise, Materialize - come into being; become reality. 3. 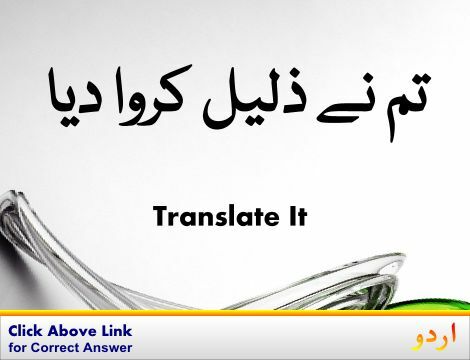 Come Out, Come Forth, Egress, Emerge, Go Forth, Issue : نکلنا - نکل آنا : (verb) come out of. Come Out, Fall Out - come off. 4. 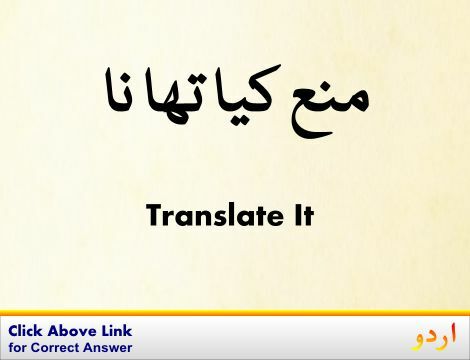 Come Out, Fall Out : جھڑنا - ٹوٹنا : (verb) come off. 5. Come Out, Come Forward, Come To The Fore, Step Forward, Step To The Fore, Step Up : آگے آنا : (verb) make oneself visible; take action. 6. Come Out, Bug Out, Bulge, Bulge Out, Pop, Pop Out, Protrude, Start : باہر نکل آنا - ابھر آنا : (verb) bulge outward. 7. 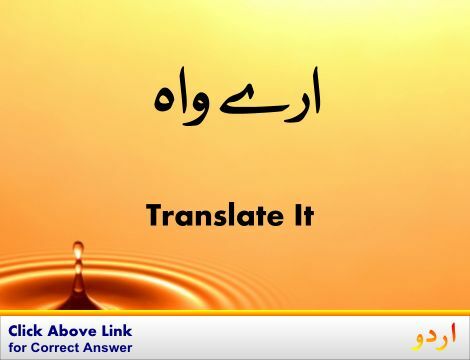 Come Out, Out : ظاہر ہونا : (verb) be made known; be disclosed or revealed. 8. Come Out, Break Through, Erupt, Push Through : ٹوٹنا : (verb) break out. Dehisce - burst or split open. Come Round : مان لینا : change one`s position or opinion. Come Hell Or High Water : کچھ بھی ہو : in spite of all obstacles. How this page explains Come Out ? It helps you understand the word Come Out with comprehensive detail, no other web page in our knowledge can explain Come Out better than this page. 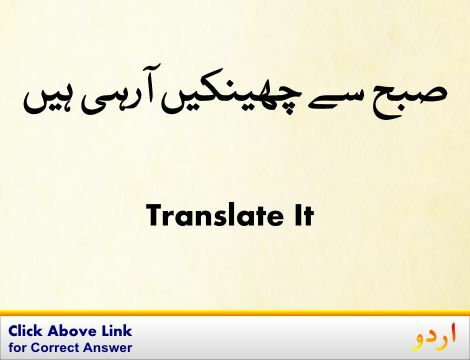 The page not only provides Urdu meaning of Come Out but also gives extensive definition in English language. The definition of Come Out is followed by practically usable example sentences which allow you to construct you own sentences based on it. You can also find multiple synonyms or similar words on the right of Come Out. All of this may seem less if you are unable to learn exact pronunciation of Come Out, so we have embedded mp3 recording of native Englishman, simply click on speaker icon and listen how English speaking people pronounce Come Out. We hope this page has helped you understand Come Out in detail, if you find any mistake on this page, please keep in mind that no human being can be perfect.